Daughter: I want a superhero party. Dad: Dr. Who has a cool phone booth. 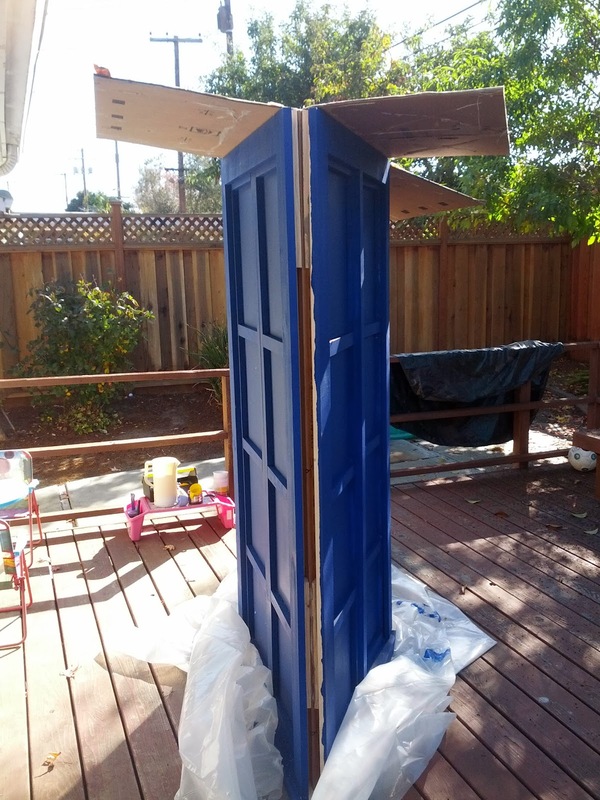 Dad: I'll build a Tardis. Daughter: Who is Dr. Who and what does it have to do with superheroes? Dad: Shhhh. Let daddy work. 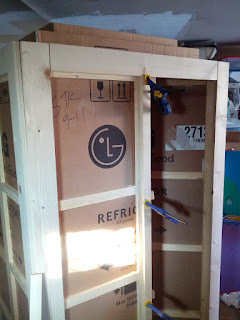 I really had no good reason to build a Tardis, except, well, to have a Tardis in the house. The kids did need some place to suit up into their superhero costume, which included a mask and a cape we made. In all honestly, I know they could have just gone behind a curtain, but who passes up an opportunity to build a Tardis? Having a huge refrigerator box really helped as a skeleton for the project. 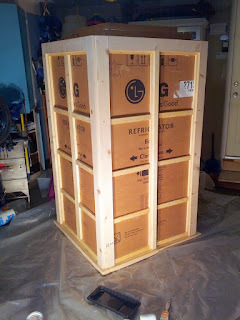 I wish I could say that I planned the whole thing, but I really just started slapping scrap wood onto the box until it started to look like something. The wood strapping was the cheapest thing I could find at Home Depot, I always keep some around, though in this case I had to stock up again. Getting cheap paint was much easier than I thought. I was able to talk to the guy working at the paint counter to mix in some blue into a "clearance/returned" can. I wasn't able to guarantee a "Dr. Who blue", but for only a few bucks I was able to get a high quality paint that did turn out pretty close to perfect. Side story: While I was working on the Tardis, the wife was off sewing capes, creating a bunting banner made out of old comics and creating a city backdrop to stand in front of for pictures. I was very impressed and it made for a great themed birthday.